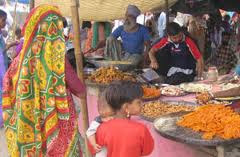 Chappar Mela is Objerved and Celebration on Sapetember Month Every Year. 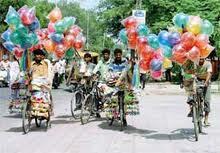 Chappar fair is held on Anand Chaudas, the 14th day of the bright half of Bhadon in honour of Gugga Pir. A big shrine known as 'Gugge di Marhi' has been built in his memory. The Pir was very popular in his time, and his disciples can be found all over the Punjab. He was a Chauhan Rajput and according to legend, he gently descended into the bosom of Mother Earth along with his steed, and never returned. He was believed to possess special power over all kinds of snakes. 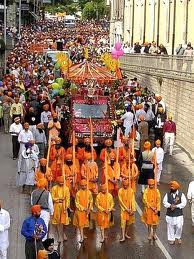 On the day this fair is held, villages scoop the earth seven times because they believe that in this way they invoke Gugga Pir to protect them against snakes. This shrine has a reputation for curing people of snake-bite. It is strongly believed that if a person is bitten by a snake, all that has to be done is to take him to the shrine and lay him beside it, he is then sure to be cured. This shrine was built in 1890. 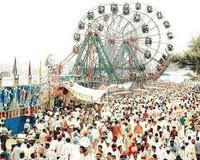 This fair provides occasion for folk songs and folk dances. Young people form themselves into groups and go about dancing and singing for hours. Some dancers don women's dress and perform Giddha for the sake of fun. 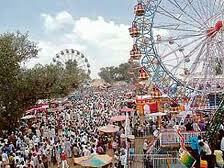 The fair lasts for three days. Centuries ago, a boy and a snake took birth together in a family at chappar village. Both were so close to each other that if one suffered a pain the other used to cry. One day the mother of the child went to the fields laying the child alone on a cot. As the day was scorching hot, snake prevented the child from sun by stretching its hood over him. Seeing this, a villager killed the snake to protect child from snake bite. Due to high level of intimacy between both of them, the child also died immediately after the death of snake leaving clouds of sorrow in the family. The family members worshipped Guga and Sidh, deeply lost in the sorrow of their son. And a he-goat was also left there to mark the place of worship by striking at a particular place. 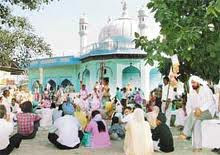 The place is renowned as Mari Guga where people pay their homage to Guga every year, on the occasion of chappar fair. The maharaja at the time of onset of the 20th century had banned the celebrations of Chappar Fair on acomplaint by local farmers. But banning of the fair brought curse to the place and many horses started dying bafflingly. 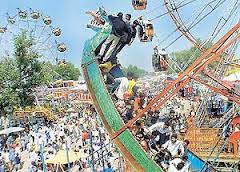 The mystery was solved and the misfortune stopped only on the announcement of another fair called “Minor Chappar Fair”, which is organized after the main Chappar fair.